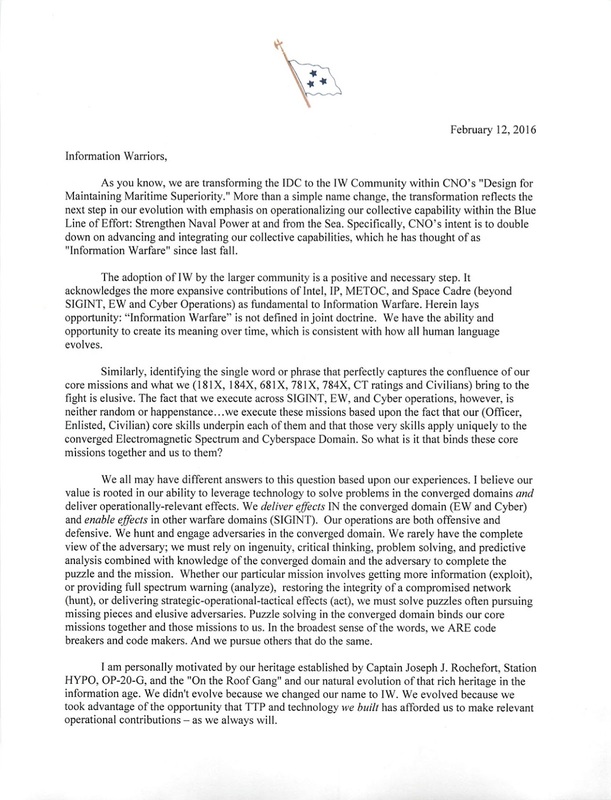 As you know, VADM Branch recently announced the transformation of the Information Dominance Corps (IDC) to the Information Warfare (IW) Community. 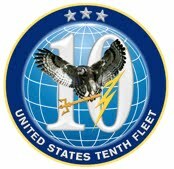 The intent of this change is to clearly identify our warfare area in the space, cyberspace and information domains equivalent to surface, air and undersea warfare. This is consistent with CNO’s “Design for Maintaining Maritime Superiority” and will shape the new IWC for years to come. This change is subsequently driving an opportunity to change the name of our family of designators (181X, 681X, 781X). 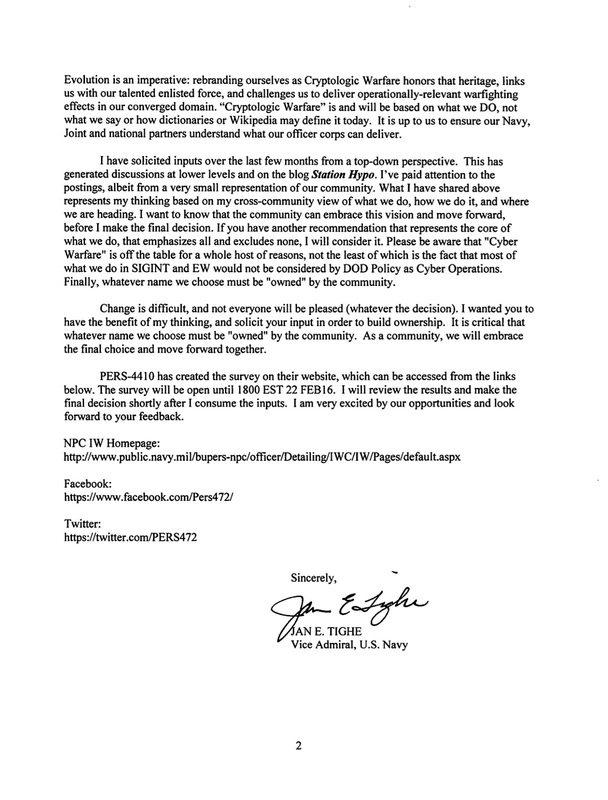 Today, VADM Tighe released the following memorandum seeking your input. For ease of access, the Facebook link will be shared on the Station HYPO Facebook page. Time to take ownership and provide your feedback. The survey closes 1800 EST 22 FEB 2016.